Conversational marketing is no different than any other type of marketing when it comes to reviewing metrics and optimizing based on performance. Since conversational marketing is all about creating a one-to-one connection with people, then monitoring engagement and response time should be a no-brainer. While you should be reviewing many different metrics when it comes to conversational marketing, looking at the ones most closely related to your team’s response time and availability to respond are crucial, because without success in those two areas you might as well give up. We implemented Drift for our agency almost a year ago, leveraging their chatbot and live chat features. In this Data Snack, I share what metrics we monitor to ensure effective response and engagement with visitors on our website. Editor’s note: Want to learn more about implementing conversational marketing? Join Square 2 Marketing & Drift on November 27th as they cover everything from implementation to targeting to the tools you use, and more. 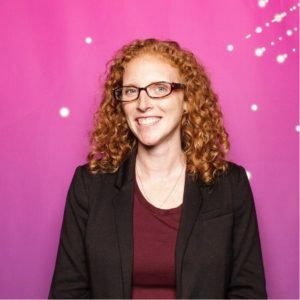 Cassandra Clemens As the Director of Marketing at Square 2, Cassandra leverages her love of metrics as well as her creative and agency experience to inspire her to find innovative ways to develop and implement solutions that will drive revenue growth. Video marketing expert Gabriel Marguglio shares how to set up an attribution dashboard, the specific video metrics you should track, and what they all mean for your overall content strategy.